STYLE RESULT: A fantastic wet look gel for flexible hold and long lasting shine. does not dry and shine that lasts. STYLING TIPS: Apply evenly to damp hair. Shape control and sculpt to achieve your desired look. 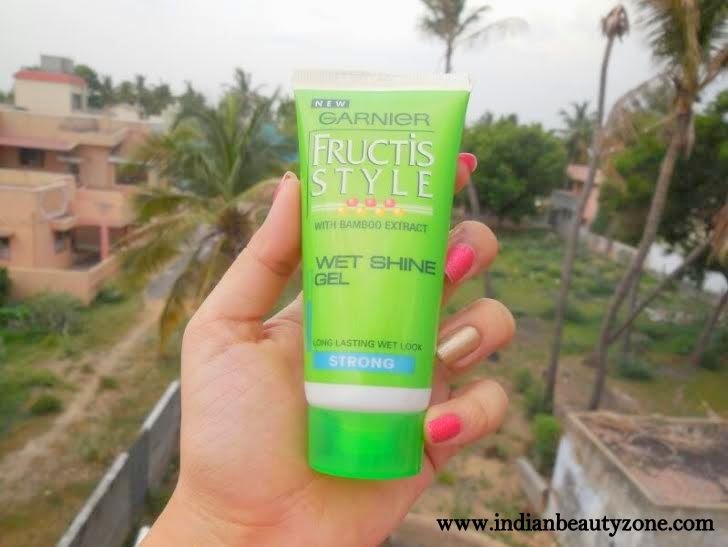 Garnier Fructis Style for a long lasting wet look. For styles with a dazzling finish. If you’re after healthy-looking shiny hair, then this is the gel for you! Non- sticky, long lasting wet look for ultimate shine effect and hold. 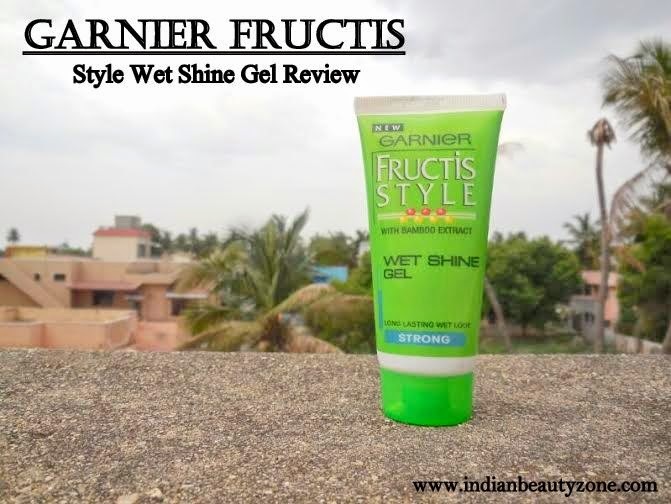 Garnier Fructis Wet Shine gel for styles that shine. Garnier combines high performance, effective formula with active natural ingredient to create caring products that take care for the skin and hair. Garnier is a world wide company owned by L’Oreal. 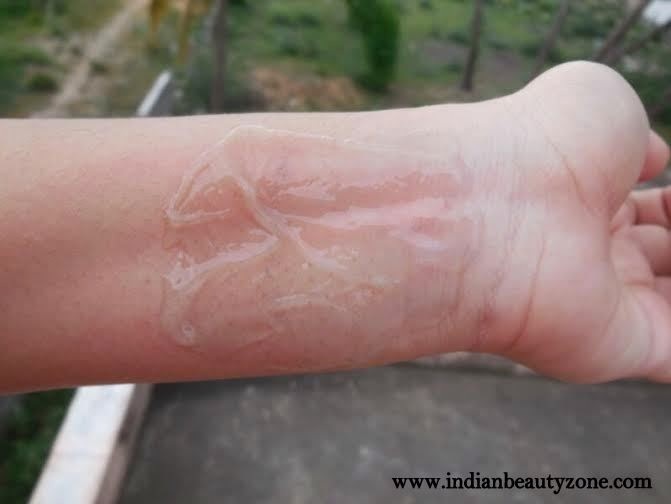 It offers skincare, haircare, hair color and styling products. The first Garnier product was made in 1904, a hair tonic and inspired by nature and wherever possible, active natural ingredients are used. For Garnier, beauty on the outside is the direct result of care on the inside. 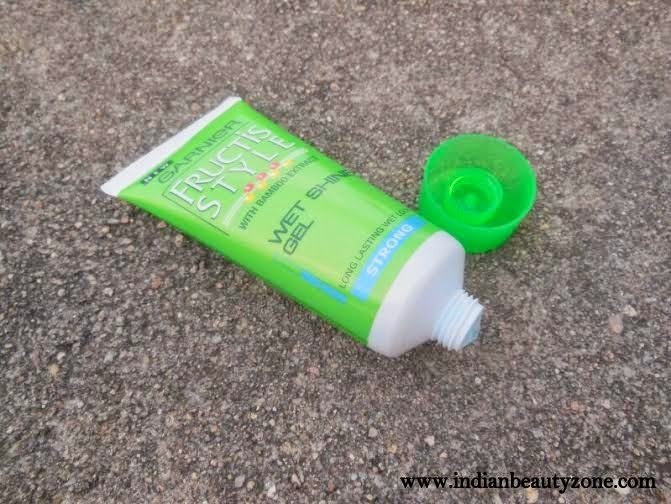 Garnier Fructis Style Wet Shine Gel comes in a tube packaging which is in green colour and easy to carry around with us. I have dry frizzy hair which is medium length one. I always wanted straight hair but been blessed with wavy one :-/ I get fascinated towards styling products in order to make them look smooth and straight. 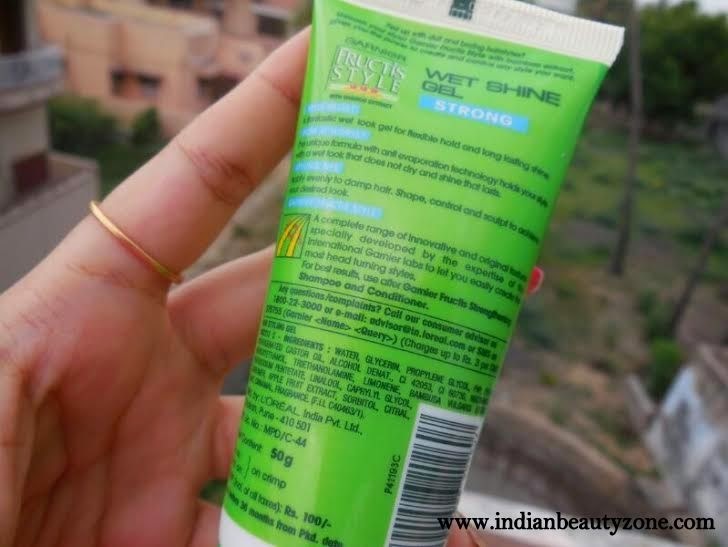 Garnier wet shine gel comes in a plastic tube type packaging. The gel is transparent in color with blue tinge(if that makes sense). The packaging is very simple, fuss free and travel friendly. I got the strong variant assuming it to really strong, but then it is not that much strong. More of everyday use one. I use this when I style my fringes or whenever I do any hairstyle that involves lots of twisting, curling braiding. compared to the previous ones I used. And it makes hair look shiny upto 3-4 hrs. Don’t expect any miracles. It is perfect for parties and functions. Yes, if you have not so thick hair and looking for an affordable option to style your fringes etc. Sounds good to try! :) Lovely review dear. I shall ask my brother to check this out as I do not use gel on my hair.. u can use argan oil or any non sticky oil to tame the frizz after washing ur hair! 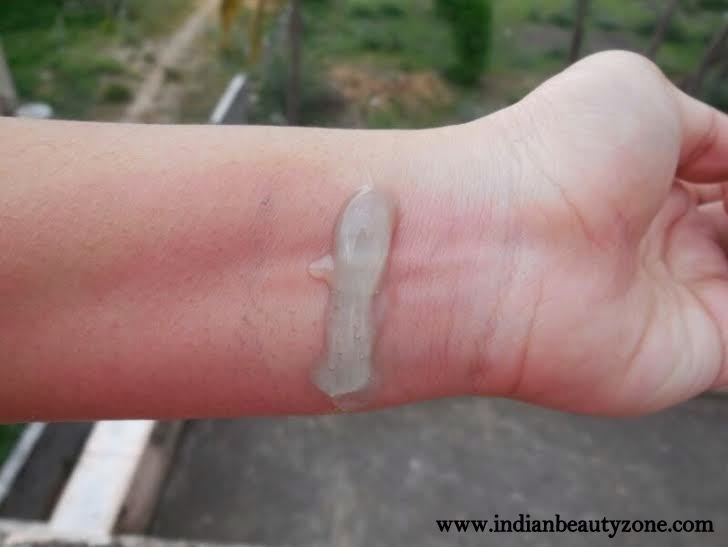 this looks like a decent gel. lovely review dear!